New Delhi: The European Space Agency (ESA) predicted that the one-tonne GOCE satellite was freefalling towards Earth on a crash course from an altitude of about 160 km. The descending orbit extended across Siberia, western Pacific Ocean, eastern Indian Ocean and Antarctica. The Twittersphere was abuzz with speculations about where the satellite will hit and whether the people should run for cover. The ESA estimated that the satellite will re-enter Earth’s atmosphere around 12.50pm on Monday, November 11, 2013. The satellite did enter the atmosphere as predicted but it disintegrated high in the sky. No damage to the property was reported. 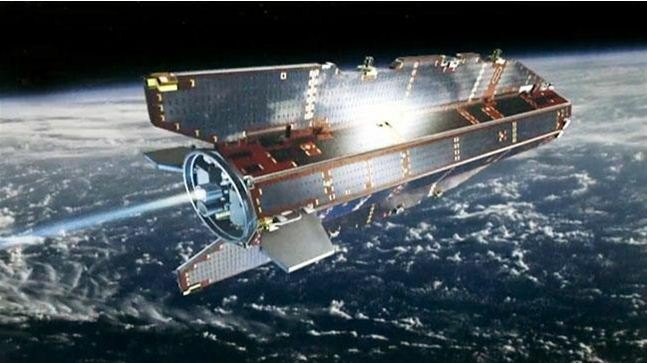 The Gravity Ocean Circulation Explorer (GOCE) satellite was sent into space in March 2009. Its mission was to monitor variations in sea levels and gravity levels. On October 21 this year, this sleek craft ran out of fuel. Hence, it could not sustain its altitude in low orbit. Experts say that chances of someone getting hit by a chunk of satellite is close to zilch. In fact, a chance of a human being getting hit by it 65,000 lower than being struck by lightning. There is only one such incident of this type and in that too, fortunately, no one was injured. In 1997, Lottie Williams was walking in a park in Tulsa, Oklahoma when she was hit by a piece of metal on the shoulder. It was identified to be a piece a Delta II rocket. « What’s in a name: Cyclone, Hurricane or Typhoon?